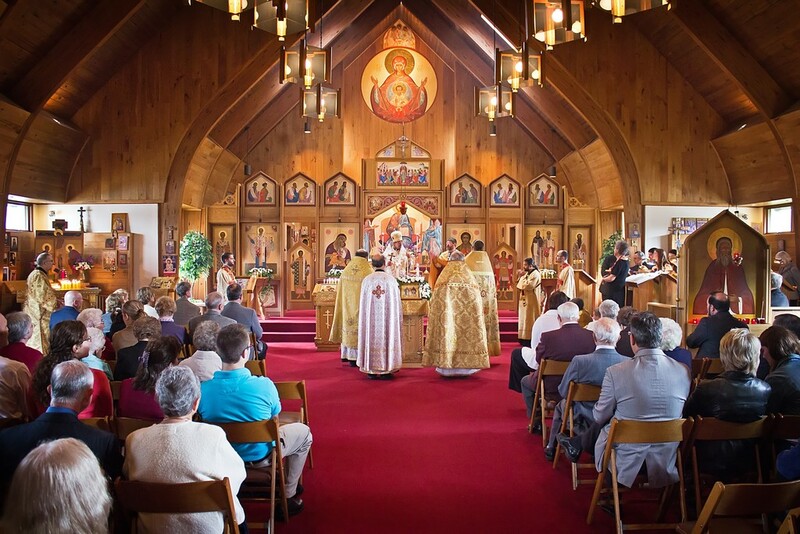 On Saturday and Sunday, September 29 and 30, 2012, Saints Cyril and Methodius Church commemorated its 100th Anniversary. The celebration included a festive 100th Anniversary Vigil celebrated on Saturday evening, September 29 and, on Sunday, September 30, the Hierarchical Divine Liturgy celebrated by His Eminence, Archbishop NIKON of Boston, followed by the Blessing of the New Parish Elevator and the 100th Anniversary Banquet. 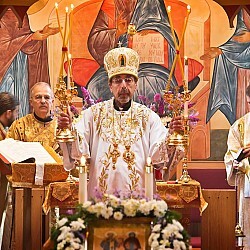 Our diocesan hierarch, His Eminence, the Most Reverend NIKON, Archbishop of Boston, presided at the celebration of the Hierarchical Divine Liturgy on Sunday morning, September 30, 2012, on the occasion of the 100th Anniversary of our parish. 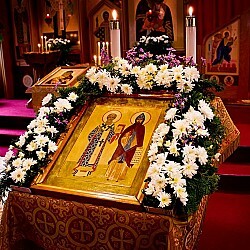 The full hierarchical order of the Divine Liturgy was served, with the formal greeting and entrance of the Archbishop, the vesting of the Archbishop in the middle of the Church and all the other additional liturgical elements that are added to the Divine Liturgy when the bishop serves, including the use of the special blessing candles, the trikiri and dikiri. Archpriest John Behr delivered the sermon. It was a great and pleasant privilege to have Archbishop NIKON and all the other distinguished clergy and guests with us for our 100th Anniversary Celebration. 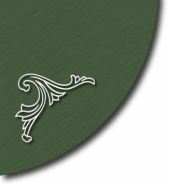 At the conclusion of the Divine Liturgy on Sunday, September 30, the new elevator and elevator shaft and tower at Saints Cyril and Methodius Church were blessed by His Eminence, Archbishop NIKON. 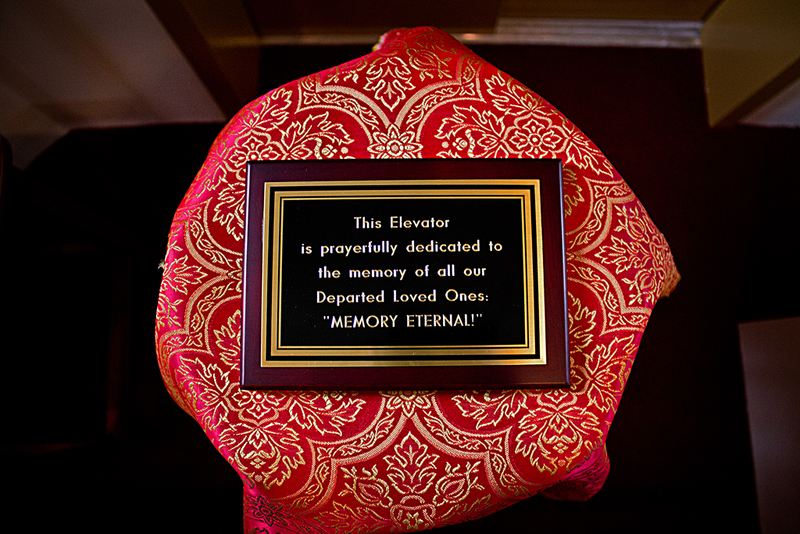 The new elevator has been dedicated to the memory of all our departed loved ones—Memory Eternal! 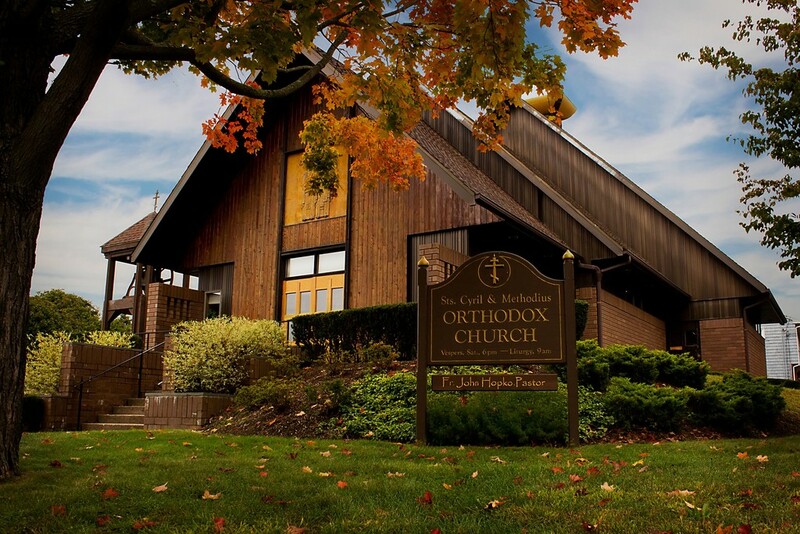 After the conclusion of the Divine Liturgy, the clergy and faithful of Saints Cyril and Methodius Church, together with our diocesan hierarch, Archbishop NIKON, and other distinguished guests, traveled the short distance to The Lyceum, Main Street, Terryville, for the 100th Anniversary Banquet. The Banquet included greetings and brief remarks from our guests, a short speech from Mr. Louis Kopcha, a distinguished longtime member of the parish, (delivered on his behalf by his wife, Kay), the main address by Protopresbyter Thomas Hopko, and a visual presentation of pictures from the parish’s history.